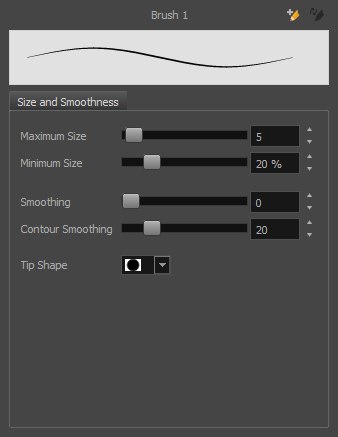 You can modify several parameters such as the brush size and smoothing. Optimizes the contour line smoothness of the line. This parameter smooths the contour of the line once it has been traced. The higher the value, the fewer control points will compose your line. NOTE: To learn more about the Brush tool options, see Brush Tool Properties.